Never thought about this question: Why are some players constantly gaining new goals while others can not archive anything significant? The reason is in a skilful process of chess improvement. What usually happens in childhood? The child sees the adults play and begins to show interest. It’s very important not to discourage him the desire to learn something new. Many scientific studies have shown that chess exercises can improve the sharpness of memory, speed of thinking and to instill the will to win. So try to combine the study of chess rules and game atmosphere. 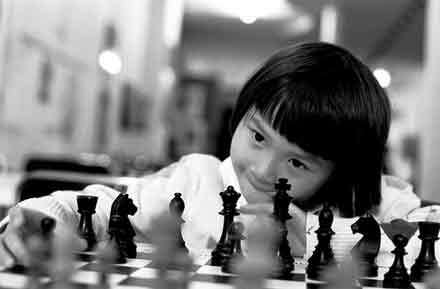 How to determine the potential of the young chess player? This is a very complex issue. I think the best way to show the child an experienced coach. But even in case of not positive feedback do not worry because no one has repealed an exception from the rule. For example, the talent of Andre Lilienthal began to unfold only in 16 years. Later he became the oldest living grandmaster and beat Jose Raul Capablanca. The first American Champion Frank Marshall learned how to play in 17 years. But this did not prevent him to achieve great results such as playing several matches for the world title. It may be noted about another great theorist and one of the strongest players and the late 19th century, Mikhail Chigorin, who began playing at age 16. Why it is not suggested to late this process. The brain quickly learns techniques in childhood, and therefore may not be tactical abilities to the highest level. If summarize this problem we may conclude that it’s recommended need to start studying chess sooner the better. Optimally the best time to start is somewhere when your child is 4 years old. And if everything goes smoothly at the age of 16 can hope to get the title of grandmaster. But this is an ideal case. Now let’s talk that will go and what to face in this way. First of all, chess is not improving gradually and smoothly but with some setbacks. It might be a very difficult period of training. Sometimes, you do everything possible to improve the game and the result is only getting worse. Here one should show more strength of will to win and relentless hard work. The human brain is designed in such a way that it needs to be processed once the new information. Therefore, in these times you can even afford to throw all studying chess. The desire to work might appear later or sooner. 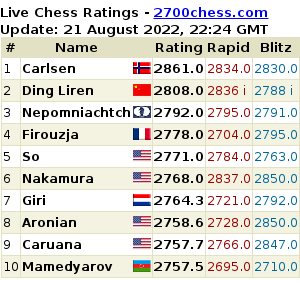 We can discuss here the problem of Elo rating – the way to define strength of a player. Elo rating is not a linear scale, as it may seem, but exponential. It increase approximately every 400 points would mean increased strength of player 10 times. If you examine the statistics of some countries, it can be concluded that only every 10-20 candidate master can become an international master. Already becoming a master, there is one in two chance of becoming a grandmaster. But here’s the problem that only one out of 100 engaged in chess can ever be a candidate. Therein lays the whole difficulty of preparation. It is necessary really stand out from other pupils. Here we are not even going to give pure chess advices. There are lot usefull books on the market. Note that in our personal experience and the experience of our students – without qualified personal trainer one should not rely on high sport performance. Many parents do not realize this, but if you set high goals for your child – give it to the chess section with an experienced coach or hire a personal trainer. Also we can touch a financial component of the issue. It is believed that chess is on of the cheapest sports possible. What could be simpler – to find a board and a watch. But it is a profound mistake. Not uncommon are cases where to send a young sportsman to a tournament to another country costs more than $ 1,500. And there are a few such tournaments each year. Not to recall that the originally only rich people with infinite free time for chess. In conclusion, there is an example of the American grandmaster Hikaru Nakamura, who joined the elite of world chess without any extraordinary help from others. This means that everything is possible, and you everyone too should hope. This entry was posted in academy on March 23, 2013 by admin.